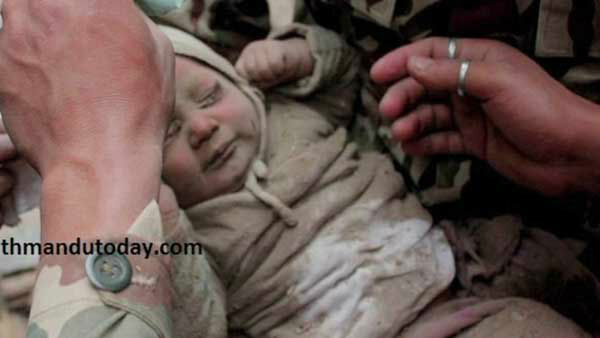 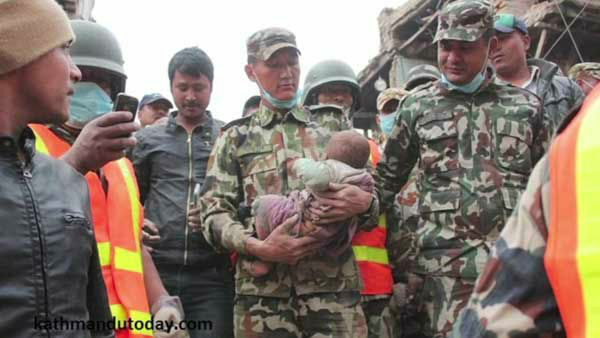 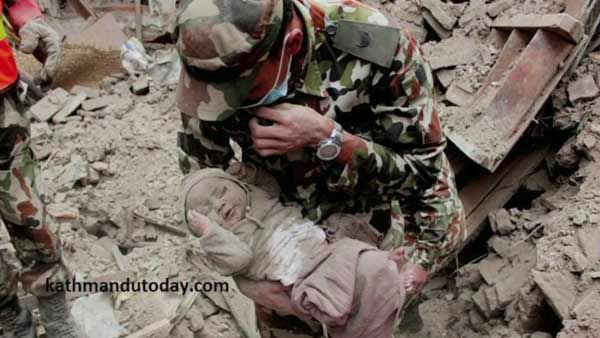 KATHMANDU, Nepal -- Soldiers rescued a 4-month-old baby boy from rubble left by the devastating earthquake in Nepal. 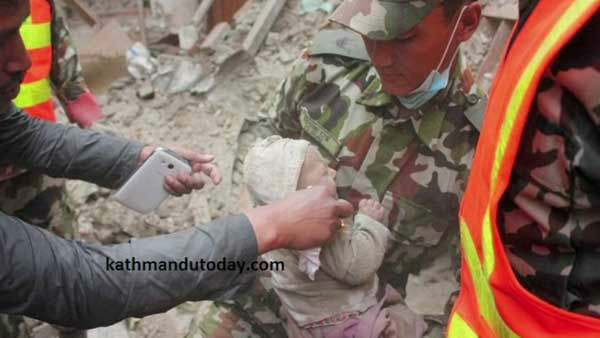 Kathmandu Today reports the Nepalese Army initially left the site, thinking the infant had not survived. 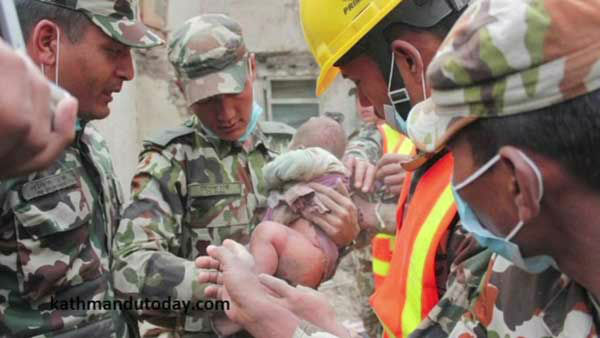 The baby's cries were heard hours later. 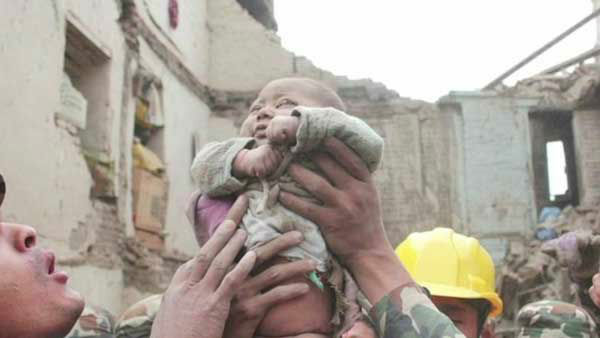 The soldiers returned and pulled the child from beneath the debris. 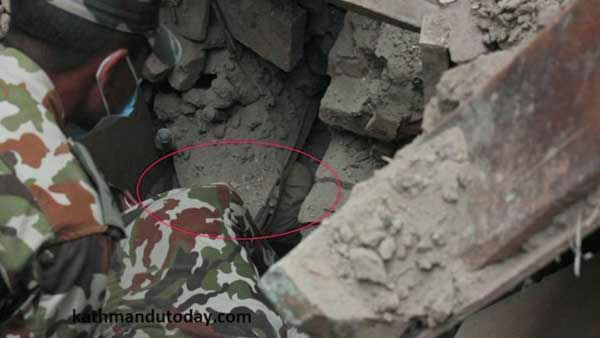 He had been trapped for at least 22 hours.